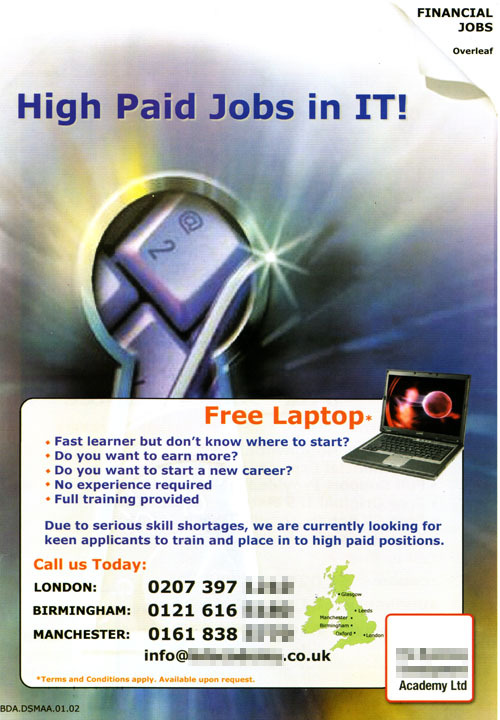 So, it’s a choice between a guaranteed job or free laptop? Tricky. 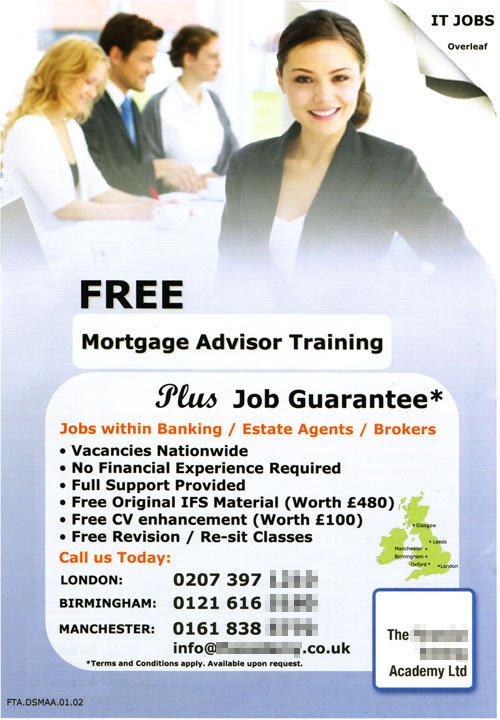 I wonder how many responses they get per hundred flyers, and what kind of training those who apply actually end up getting. Will pull the details from Companies House at work tomorrow and see what’s what.